oh yay! I hope you are all as excited about this post as I am! 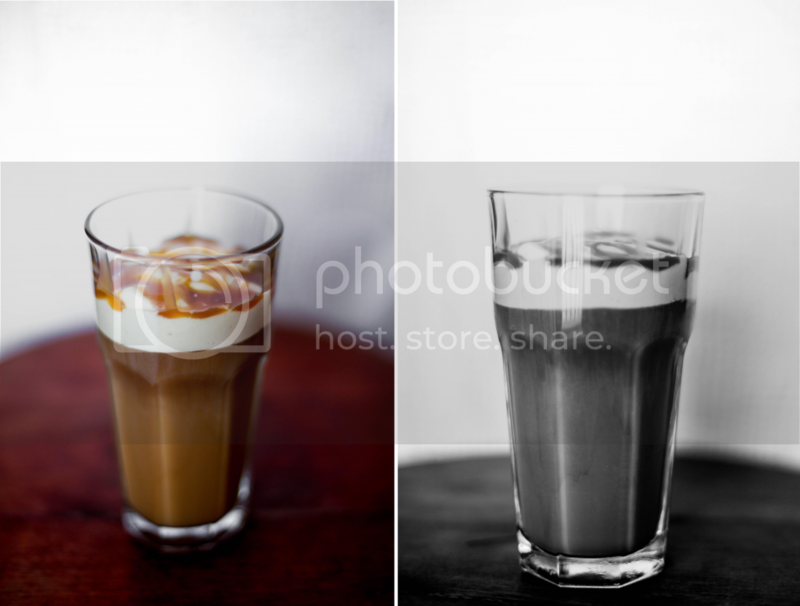 I'm a big coffee lover so I thought it natural that my first "official" post be to share one of my new favorites, iced caramel macchiato. A few weeks ago I went to Starbucks for the first time. I know, I know, for some of you die hard Starbuck fanatics it may be hard to believe, but alas, it's true. So after I confusingly looked at all the options (mocha, latte, espresso...?) and talked to my sister (asking what she recommended), I chose the classic caramel macchiato. And let me tell you, it was good. So what am I try to say here? This recipe makes coffee that tastes just like Starbuck's! Which in other words means that it's very yummy. This was actually just a happy accident! 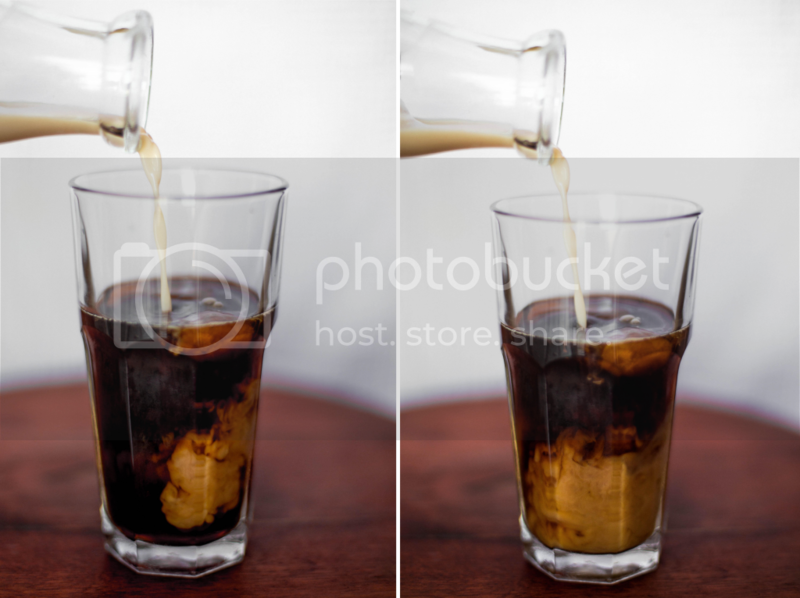 I was making an iced coffee, tasted it, then realized, "oh wait... this tastes familiar". After a few tweaks, the iced caramel macchiato was born! I think one of the key components that made this coffee so unique was the vanilla I used. I was able to use an organic Mexican vanilla that was a gift from my aunt. It had the original vanilla flavor but gave an added "something something" to the coffee that made it special. The flavor is hard to explain (as is everything for me) but seems to have a hint of a warm spice and sweet vanilla sugar flavor. To say it is amazing would be an understatement. Now that that is said, this drink would still be wonderful using an ordinary vanilla. But if you wanted to go for an extra mile of yumminess, I suggest this vanilla that I used. 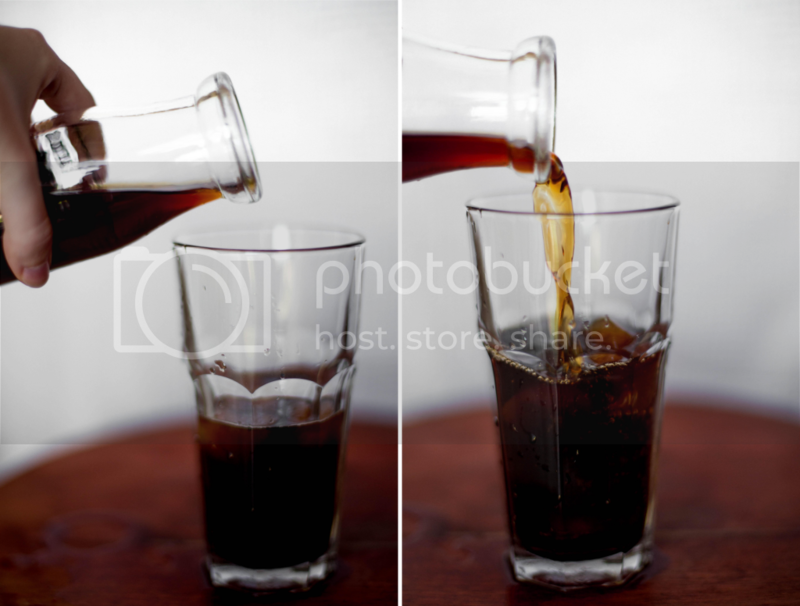 Put the coffee in the freezer or refrigerator until cool. Whisk the heavy cream (make sure it's cold) vigorously for about 1 minute until it is light and frothy. Add brown sugar, nutmeg, and vanilla. Now let's put it all together! 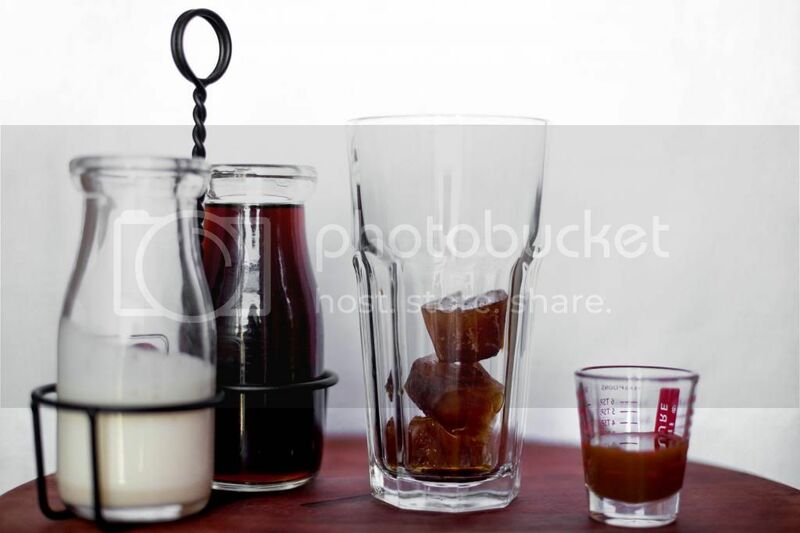 --- Add the coffee cubes to a large glass then add the cooled coffee. 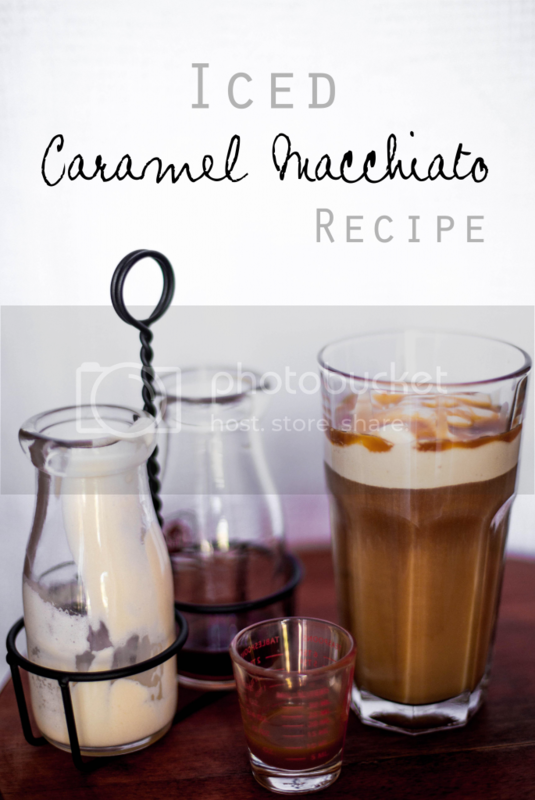 Pour in the whipped cream mixture and drizzle caramel syrup on top. I hope you take the time to try this recipe out for yourself, I promise you won't be disappointed! Looks wonderful! My guess is that the heavy cream you use has something wonderful to do with it also! Ah, that looks so good! When my aunt and uncle visit Mexico, they bring back giant bottles of vanilla, and it is SO much better than regular grocery store vanilla. this looks like the bomb. and i'm so making a lot of these this summer. so I would TOTALLY make this right now, but I'm out of vanilla and that makes me sad. on my way to your house. be right there. Ah! the photography in this post is just gorgeous!! Of course it helps that the subject is coffee :) Great job!